Our house in very tall, with only a couple of windows and a lot of white siding. I am a big fan of white. It is so clean, fresh and pleasant to look at. But when it is paired with the wrong colours, it seems to loose its magical powers. 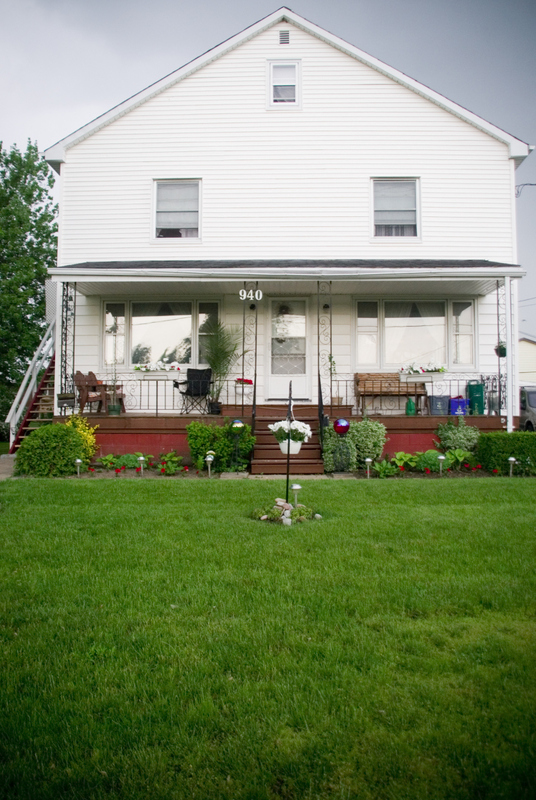 Our front porch was brown, and teamed up with a red foundation below the big white house. Last year I contemplated painting everything white, but was scared it would be too much. But day after day it drove me crazy. I even drove around town looking for white houses with white porches to give me piece of mind. This was our home last year. 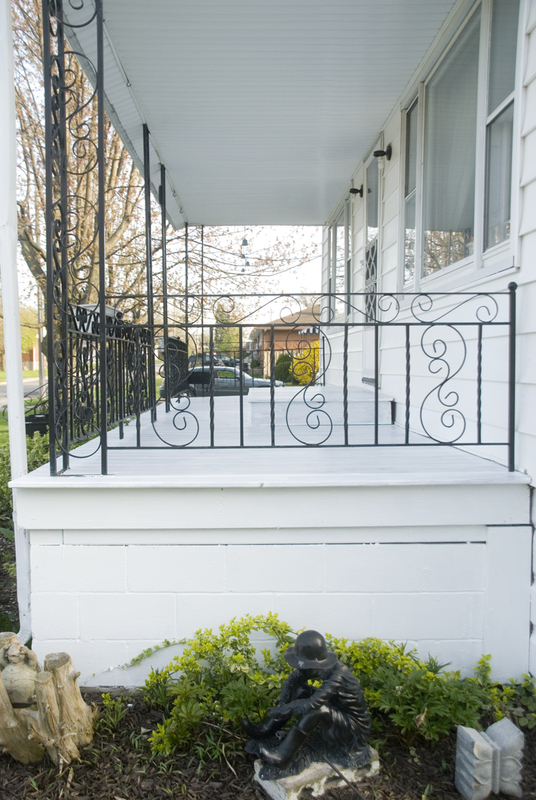 This year, as soon as the weather let us outside (which was much later then normal) I went to the hardware store and bought a bunch of white paint. I was going to do it this year! It was only paint. If I didn’t like it, I could always go back!! I started painting everything 🙂 Here is the initial before and after. Ok, so it was white…..really WHITE!! I need to start to break it up with some colour. 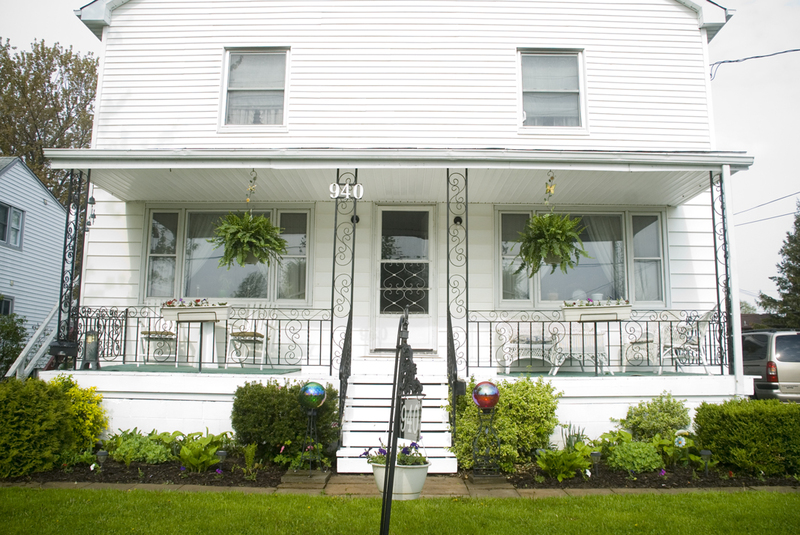 Flowers, plants and shutters! Shutters is the answer! 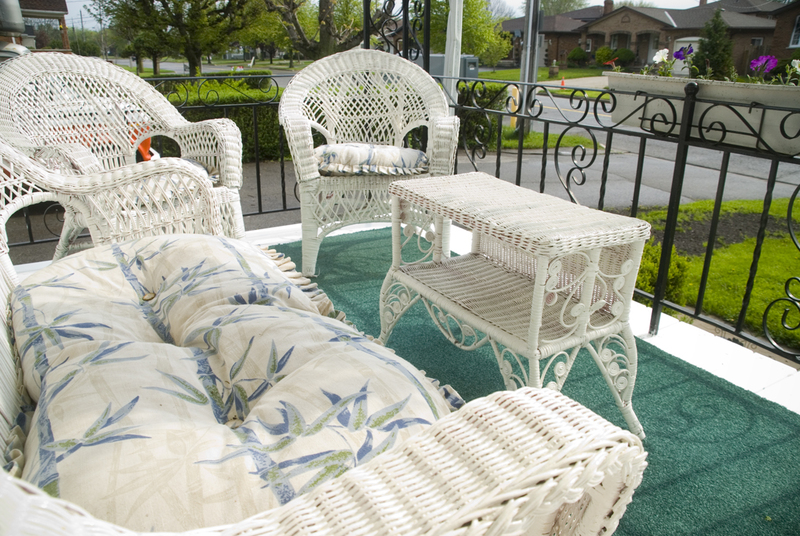 But first, I needed to get the front porch usable for when company comes over. 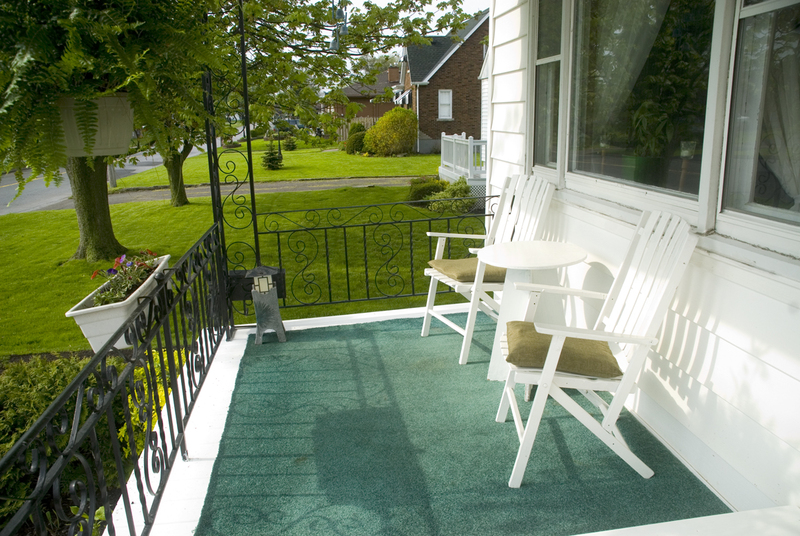 I wanted to bring in a vibrant colour, and found a teal carpet that was perfect to cut in half and put on the porch! I love this colour! Maybe teal shutters…..maybe not. The carpets matched our cushions and looked great with the white furniture. 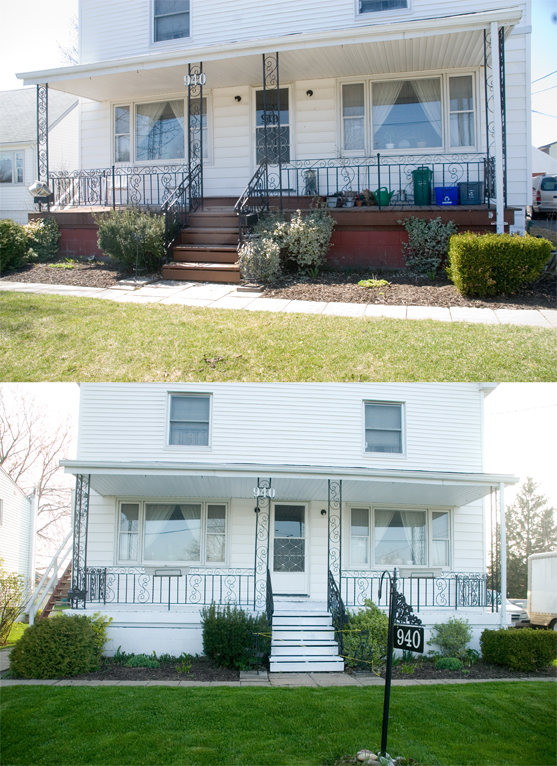 So in the end, I LOVE the white front porch and am glad that I took the chance. I still have lots of plants and flowers to put out, but I think I am going to be spending a lot of time here.